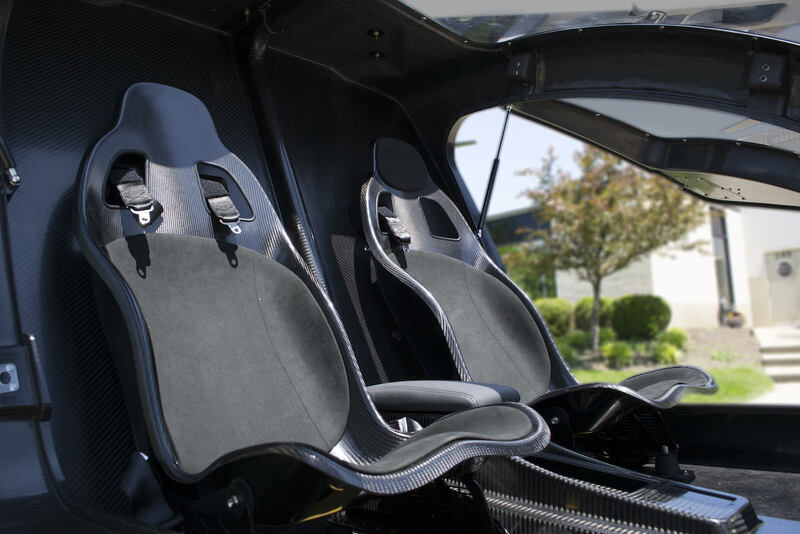 Workhorse is an American company that wishes to innovate in personal mobility market is now engaged in developing user-friendly and safely vehicles. 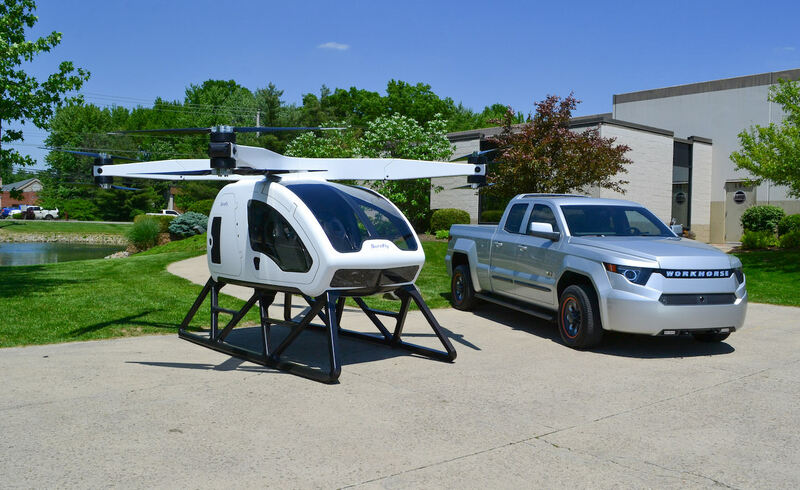 To achieve this goal, the company not only develops trucks but also drones as with the new Surefly by Workhorse. 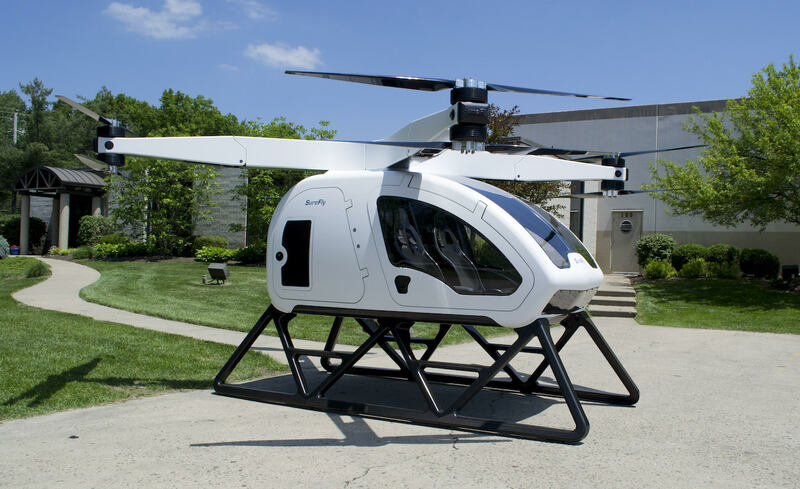 Unveiled at last Paris Air Show, Surefly by Workhorse aims to revolution private helicopters market. Through economic and innovative systems, the purpose is to ensure the owners a powerful and safe way of flying while reducing all costs. 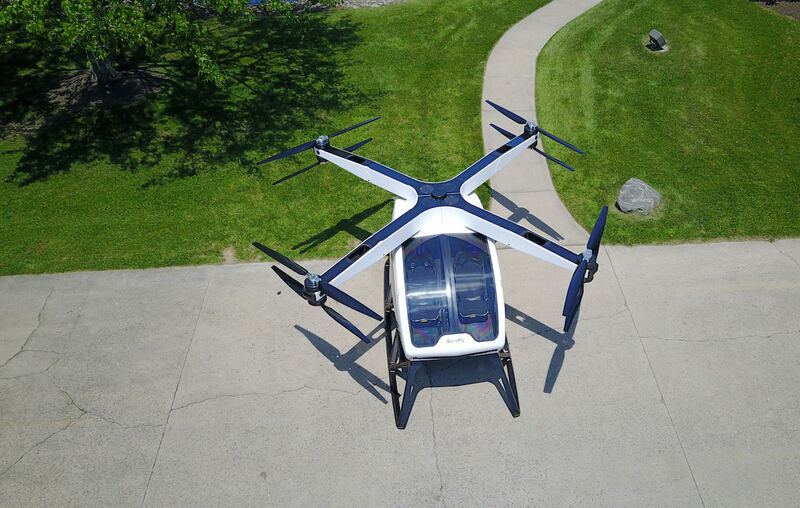 Surefly by Workhorse’s design was built from carbon fibre and is composed of four propeller arms, each with two fixed rotor-rotating propellers. Of course the apparel is also equipped with a ballistic parachute for the two passengers. Concerning motorisation, Surefly by Workhorse ensures passenger safety through an emergency battery in case of the principal engine is out of gas. The main engine is a gas combustion one that generates electricity without needing long charging periods between each flight. Then the two engines ensure the pilot up to 70 miles flight distance and 400-pound maximum payload, perfect to transport heavy merchandises. 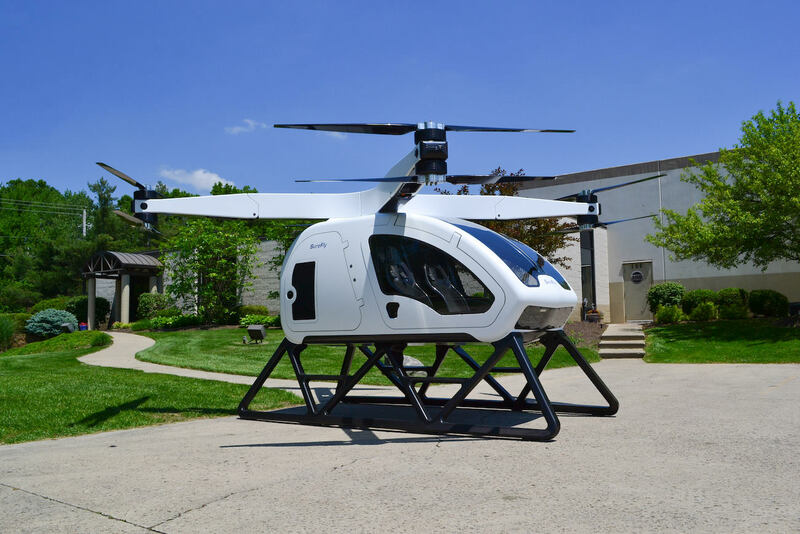 The other Surefly by Workhorse‘s great asset is its ease to fly. 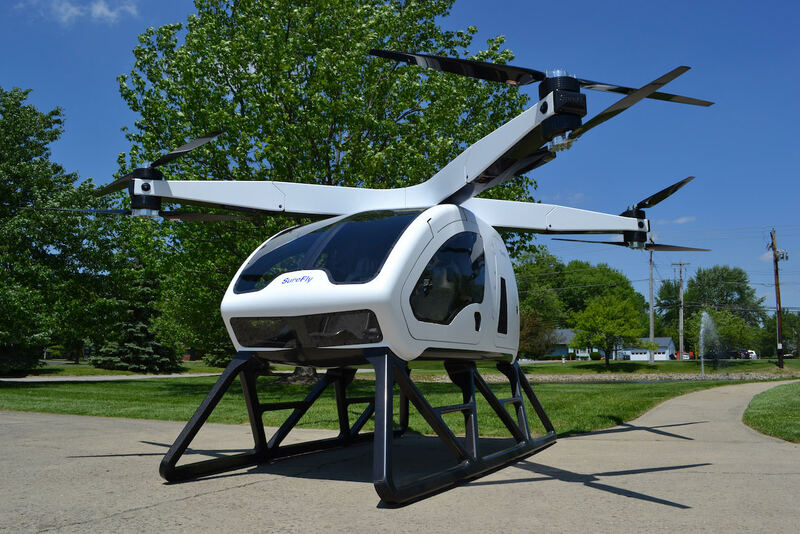 This one is accessible with a technology that helps land and take off vertically, and the navigation offers full visibility thanks to a GPS system and a special hand-built cloud-based, real-time Workhorse system that detects weather conditions while flying. This function also allows realising fuel economy and chose a pertinent flying map. 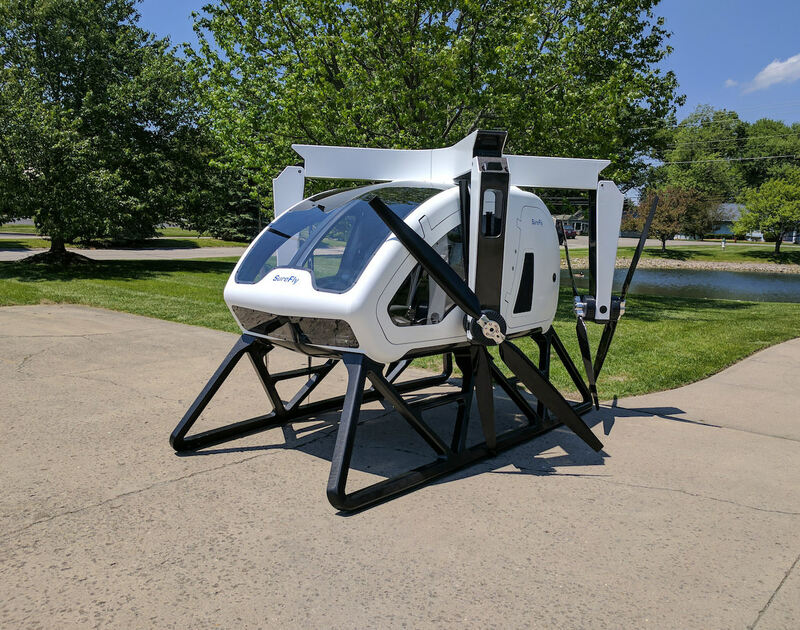 With 200 horsepower, Surefly by Workhorse truly is child’s play thanks to static ports and heated pitot tube that control altimeter and speed measurements, like a giant drone. 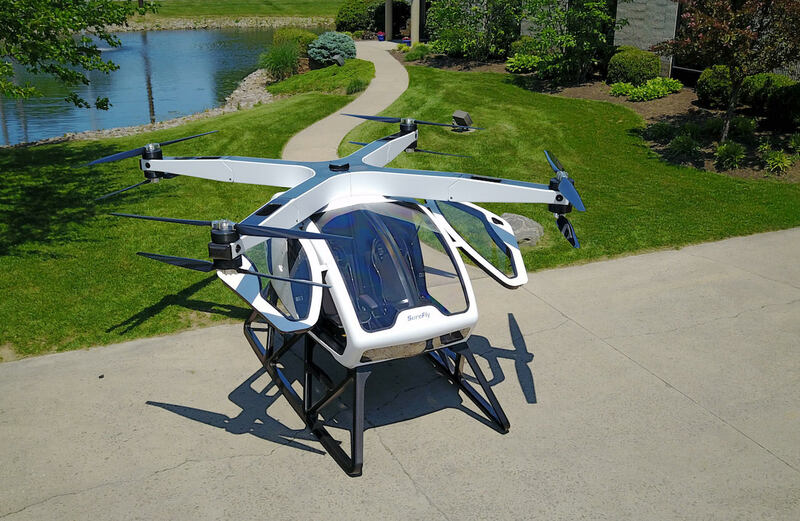 Surefly by Workhorse’s orders are already available but you have to know that first you’ll have to pay 1000$ to buy this huge drone, before paying a total of 200.000$! 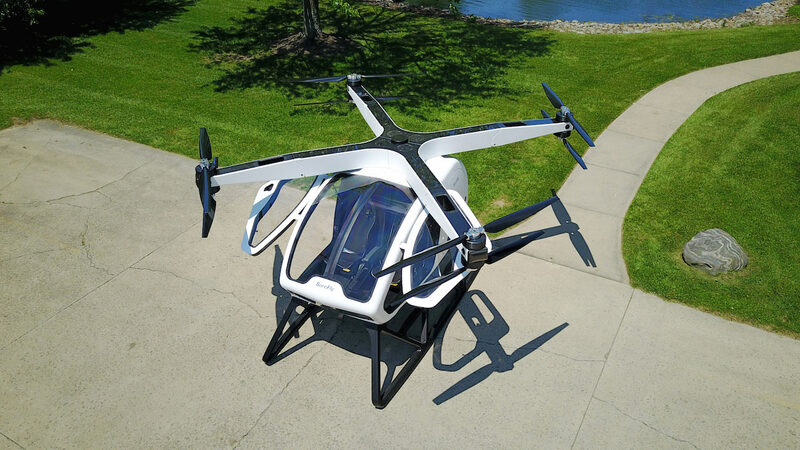 Share the post "Surefly by Workhorse: an innovative and safely way to imagine personal mobility"